Meditree – a name blended from the words ‘Medicinal Tree’ – encapsulates purity and tranquility of nature, combining ingredients with active vitamins, herbal extracts and essential oils to create a simple, and nourishing acne skin solution for consumers with different skin types. 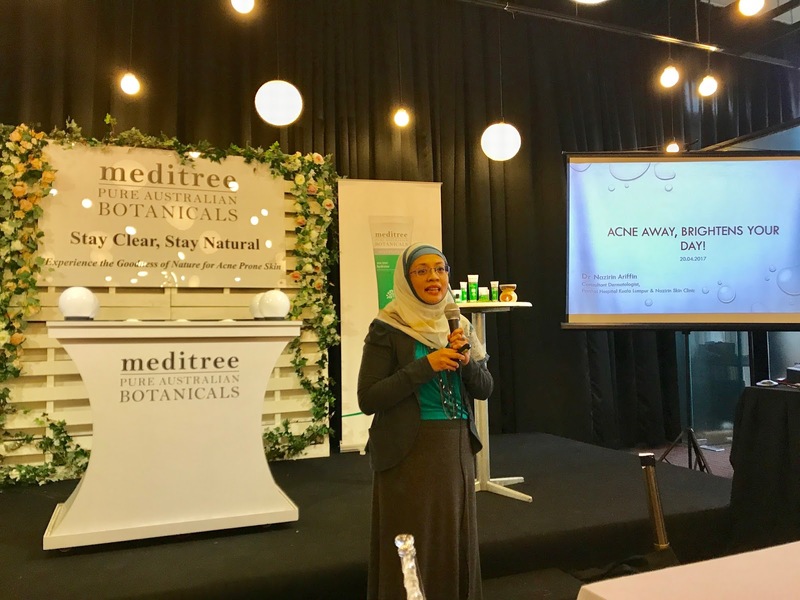 “With its theme to ‘Stay Clear, Stay Natural’, Meditree aspires to deliver fresh and natural skin care solution without synthetic fillers, preservative and foaming agents,” said Chua I-Lin, Senior Manager, Product Management Consumer Health, Healthcare, DKSH Malaysia at the launch of Meditree Tea Tree. DKSH, the leading Market Expansion Services provider with a focus on Asia, has launched Meditree Tea Tree, a skincare range that uses pure, organic and naturally derived ingredients to help cleanse and clarify acne prone skin. DKSH Business Unit Healthcare, a leading partner for healthcare companies seeking to grow their business in Asia, helped Byron Origins Pty. 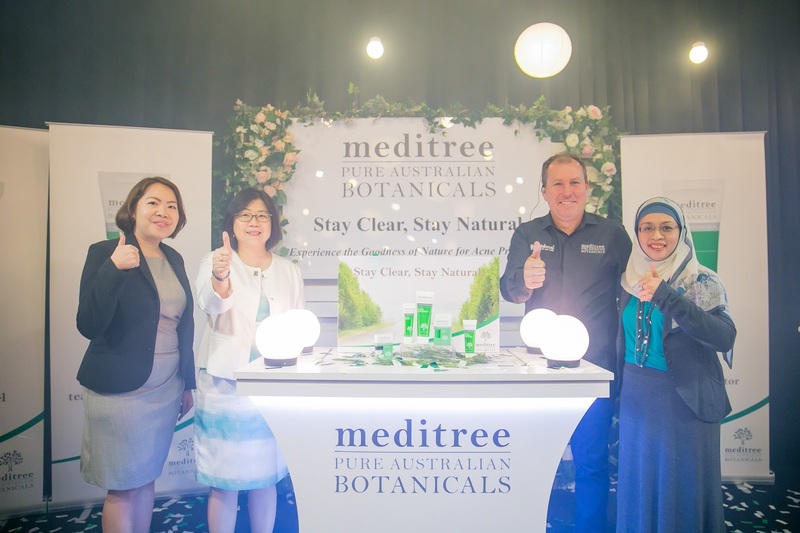 Ltd. to introduce Meditree’s Tea Tree range of skincare products in Malaysia during a launch event. Consumers will now have access to the Meditree Tea Tree range of products in local pharmacies nationwide. 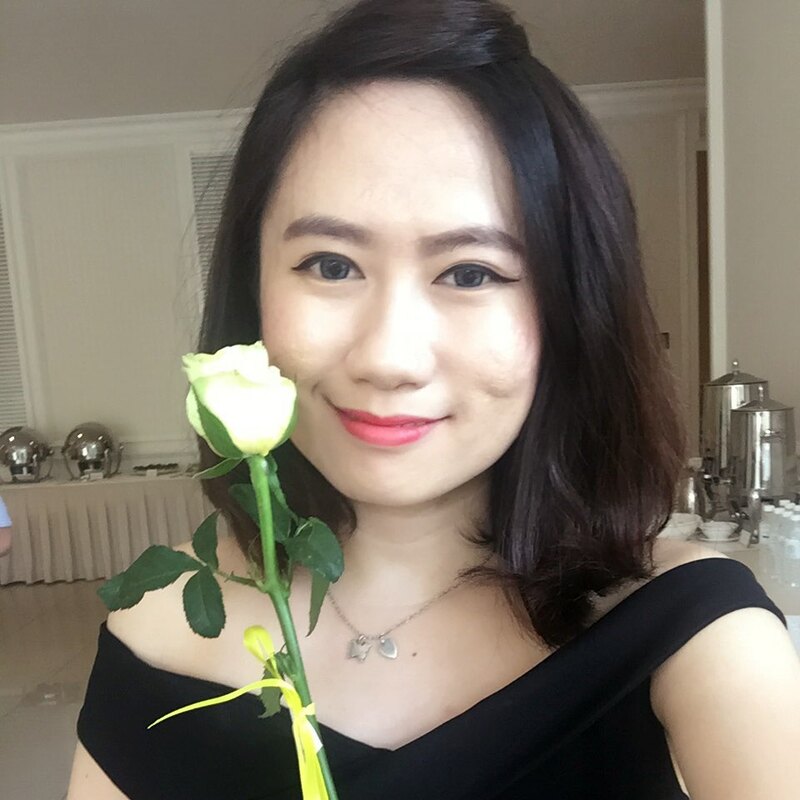 At the launch, DKSH has also invited Dr. Nazirin Arrifin, a renowned dermatologist from Pantai Hospital, to offer professional advice and tips to manage acne prone skin. According to Dr. Nazirin, acne affects not only teenagers who are undergoing puberty, but it is also prevalent among adults aged between 30 to 50. Common types of acne include white and black heads, small inflammatory papules (red spots) and pustules (red spots with pus). While the usual causes of acne include stress, genetic predisposition as well as fluctuations of the androgen hormone for teenagers, Dr. Nazirin noted that acne is sometimes left untreated until it becomes severe, and this leads to physical and psychological problems such as permanent scaring, low self-esteem, depression or even social withdrawal at a later stage. 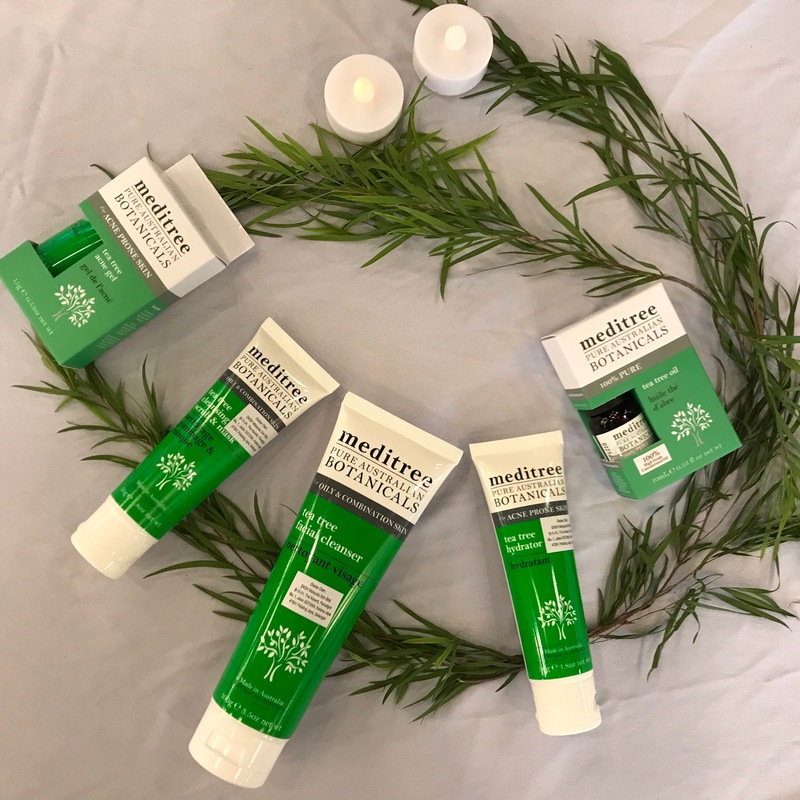 The Meditree Tea Tree Range includes the Tea Tree Facial Cleanser, Tea Tree Hydrator, Tea Tree Acne Gel, Tea Tree Face Scrub & Mask, and Tea Tree Oil. Ideal for oily, combination and acne prone skin, this gel type cleanser combines with Tea Tree, Aloe Vera and Willow Bark extract to gently purify and provide antibacterial properties to the skin. While Tea Tree and Aloe Vera is known for their soothing properties, the Willow Bark extract provides the highest natural form of Salicylic Acid and it gently eliminates bacteria that causes acne and other form of skin irritations. To top it off, this Tea Tree Facial Cleanser is also infused with Decly Glucoside made from glucose, extracted from corn to help provide exceptional cleansing and foaming properties to the skin. Moisten skin and gently massage all over your face and neck. Rinse with warm water. Use morning and night. The Tea Tree Hydrator is specifically formulated with Tea Tree Oil, Willow Bark Extract and Chamomile Extract to help replenish and hydrate oily, combination and acne prone skin without increasing oiliness on skin surface. Known for its antifungal and antibacterial properties, the tea tree oil also acts as an antiseptic, antibiotic, insecticidal and a stimulant to improve skin and generate cell growth. While the Willow Bark extract eliminates bacteria on skin surface to prevent acne and other skin irritations, the Chamomile Extract on the other hand contains anti-inflammatory properties to aid in soothing skin complexion. Apply a small amount to face and neck after cleansing. Use morning and night. This antibacterial gel targets acne and blemishes on skin. Both the calming and purifying properties of Tea Tree Oil and Willow Bark Extract infused in this gel helps to cleanse and improve acne prone skin. The Meditree Tea Tree Acne Gel also contains Tocopherol- a type of Vitamin E that acts as a natural skin conditioning agent and antioxidant to help slow down the degeneration of skin cells and at the same time promotes cellular renewal and skin elasticity. Apply a small amount to affected area. Use 1-2 times daily when required. • Tea Tree Leaves & Lychee Shell- Serve as natural exfoliants that gently loosen and remove dead skin cells without irritation. • Kaolin Clay- Absorbs excess oil and removes impurities for improved skin texture and colour. • Licorice Extract- Contains anti-inflammatory which helps bring clarity back to skin complexion. Apply to clean and moist skin. Massage gently all over face and neck. For mask, apply and leave it on for 10 minutes before rinsing off well. Use morning or night, 1-2 times weekly. Suitable for normal, dry, oil and/or combination skin type. A 100% pure, natural antibacterial essential oil steam. The Meditree Tea Tree Oil is ideal for insect bites, stings, cuts and abrasions. Extracted and distilled from the Australian native Melaleuca Alternifolia (Tea Tree plant), the tea tree oil is known for its soothing and antibacterial properties. It not only helps kill germs, but also aids in reducing acne and cell growth. Sensitive skin users can keep their worries at bay as this anti-fungal and antibacterial tea tree oil has an extremely low potential for skin irritation and sensitization. Apply 1-2 drops on affected area. Discontinue using if irritation develops. For external use only. Experience the goodness of nature with Meditree Tea Tree Range. The Meditree Tea Tree Range is available at local leading pharmacies nationwide.